Southern Missouri Shorthairs - About Us Johnny has officially retired! He looks forward to specnding more time hunting and playing with puppies! Johnny has officially retired! He looks forward to specnding more time hunting and playing with puppies! 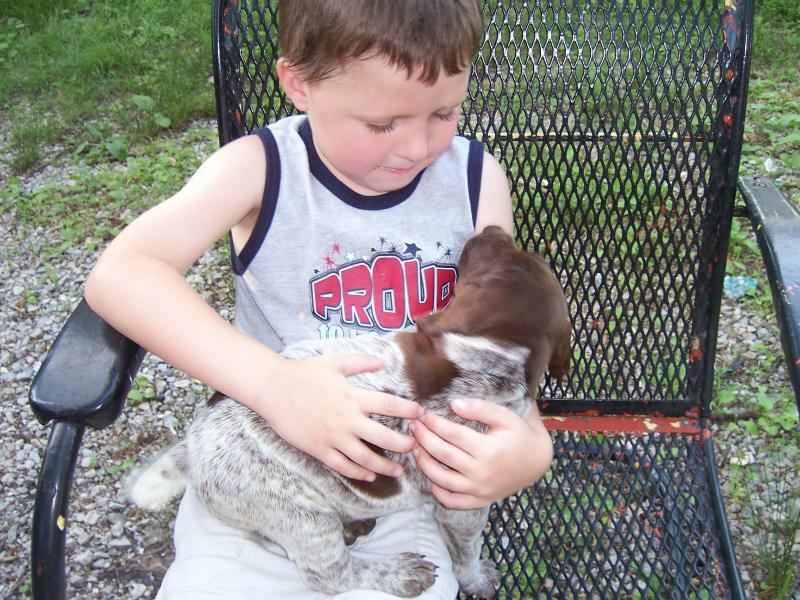 We are a small family operated German Shorthair Pointer kennel located in South Central Missouri. We only breed AKC and FDSB registered GSP with excellent gundog potential. We do not field trial or show our dogs. As demonstrated in each dam and the sire's pedigree, they are from champion bloodlines and have wonderful hunting potential. Our dogs are socialized early with people, including children and other dogs. Children and puppies just go together! 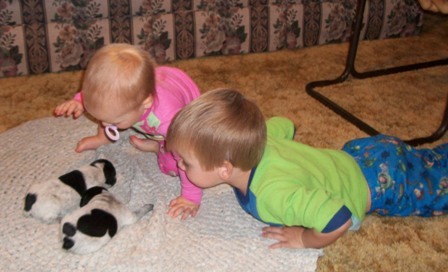 Our grandson, Hunter, likes to give the puppies lots of attention. We are current members of the local Quail Forever Chapter and Quail Unlimited. 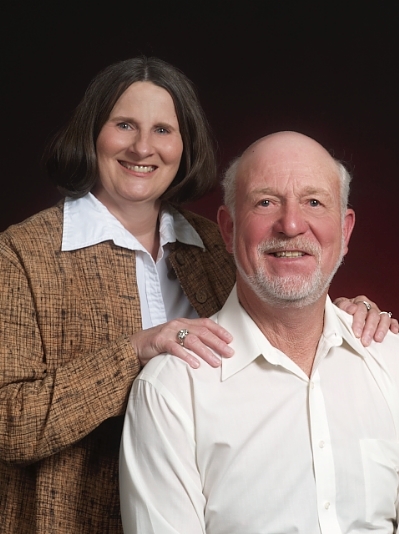 Johnny has over 35 years of experience raising and training bird dogs. 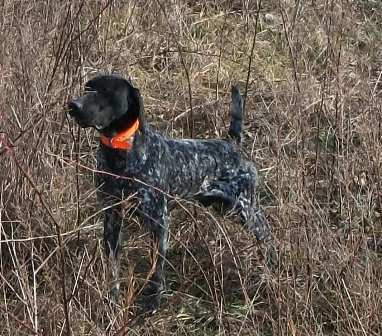 The started and finished dogs are trained by Johnny to be high quality hunting dogs. 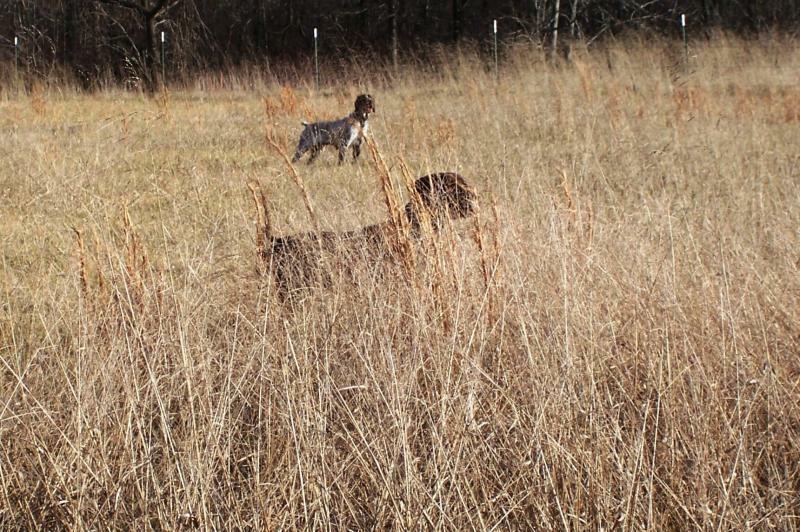 Our GSP breeders have Champion Bloodlines, but we do not field trial our hunting dogs. They are trained as gun dogs that will hunt for anyone. Our puppies are socialized with children and other dogs. We also have started and finished gundogs available. Lady honoring Hunter's point in the field. We process invoices and payments by PayPal (www.paypal.com) for dogs that are shipped. Shipping fees are deducted for dogs picked up at the kennel and we request cash or PayPal payments for dogs that are picked up at the kennel.